Artificial Intelligence (AI) has been an integral part of game design, such as in the designing of Non-Player Characters (NPCs). AI is used for learning how players respond to pre-programmed scenarios so that the game can be improved over time. Hear from Atsushi Ishii from Couger and Connectome, Jose He from Bountie Technologies and Daniel Shen from Soqqle . 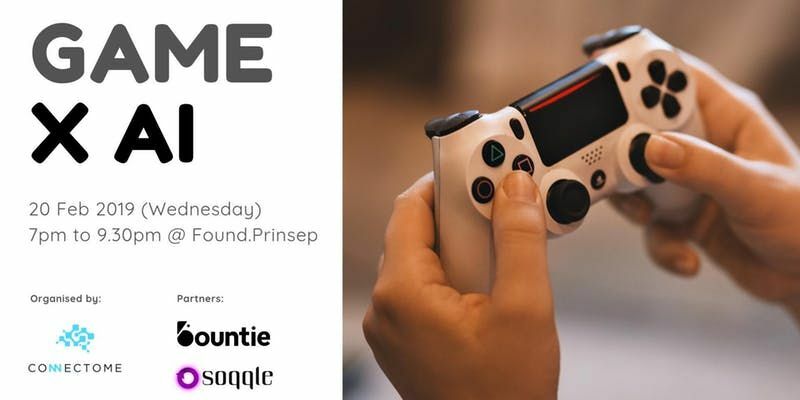 Please contact Crystal at crystal@connectome.to if you have any questions or wish to join us as a speaker for our future Meetups. Cheers and see you on the 20th!